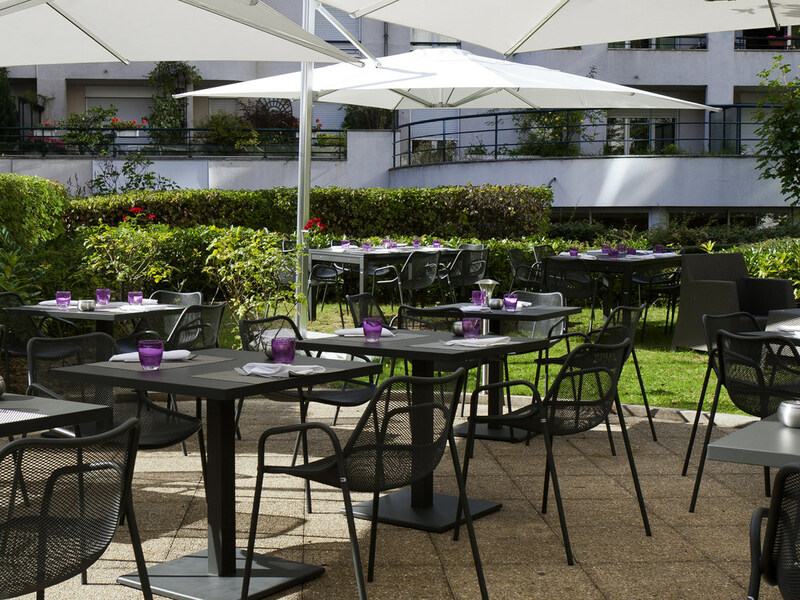 Located near the district of Bercy, the 4-star Novotel Paris Sud Porte de Charenton hotel welcomes you for business stays or weekends with the family (2 adults and 2 children). Our comfortable rooms measuring 258 sq. ft. (24 m²) offer WIFI, a TV package (Canal+, beIN) and a minibar to ensure you have a relaxing break. With 12,917 sq. ft. (1200 m²) of meeting space, you can organize conferences on a big scale. Enjoy a bite to eat in our modern Gourmet Bar - take a seat inside or out on the terrace! Enjoy a concert, show or sporting event at the Accorhotels Arena. Take a stroll in the Bois de Vincennes and visit its Zoo, opposite the hotel. Discover the world's most beautiful city by hopping on the metro, taking you straight to the heart of Paris. The Novotel Paris Charenton offers rooms spanning 270 sq. ft., and a 538 sq. ft. Suite. Choose the Suite or an Executive Room and you can enjoy a dedicated floor and VIP treatment: Nespresso machine, complimentary minibar, bathrobe & slippers. Dine however you want, whenever you want. Enjoy simple, tasty, healthy and balanced cuisine at any time and satisfy all your cravings. Take a moment to relax in the restaurant, bar or terrace, or even in your room.